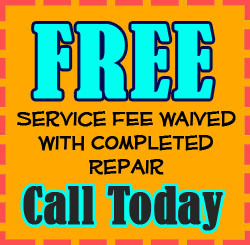 AAA Home Appliance Repair is the San Jose area's answer to virtually all household appliance issues. Our specialties include refrigerator repair, washer repair, oven repair, and all other major home appliances. We work with all makes and models, and we can even perform installations. Our short turnarounds and reasonable rates are what set us apart from the rest. Dealing with a broken appliance in your home? Professional appliance repair service is the only way to ensure that your dishwasher, oven, or refrigerator returns to full working order as soon as possible. At AAA Home Appliance Repair, our appliance repairs are available to all San Jose-area homeowners who are on the hunt for a quick turnaround at an affordable rate. We pride ourselves on bringing exceptional workmanship straight to your door, so if you're ready for an expert refrigerator repair, washing machine repair, or stove repair, you should make us your first call. AAA Home Appliance Repair is here to restore full functionality to your kitchen, laundry room, and home, so act now! AAA Home Appliance Repair is proud to serve San Jose and all of the surrounding communities. As a local, family-owned company, we hold the same values that you and your family hold. Our mission is to provide area homeowners with sound, long-lasting appliance repairs that don't break the bank. And because we know what it's like to have a household that depends on fully functional appliances, we deliver our appliance repair services with the utmost efficiency so you aren't stuck with a broken appliance for long. So if you're located in San Jose, Milpitas, Campbell, Los Altos, Los Gatos, Morgan Hill, Santa Clara, Saratoga, Sunnyvale, or Cupertino, make sure you call AAA Home Appliance Repair for some of the fastest appliance repairs in the area. Your customer satisfaction is at the top of our priorities, which is why price and speed are our two biggest concerns. There are several other appliance repair companies out there who promise to give you the lowest rates or the fastest results, but rarely can they deliver both. With AAA Home Appliance Repair, however, you can expect highly affordable pricing and exceptionally quick turnarounds. That's what sets apart from the other appliance service companies in San Jose. In fact, we're so committed to reasonable pricing and fast results that we waive the service call fee with any completed repair and make ourselves available for round-the-clock emergency services. We don't want to nickel-and-dime you, and we definitely don't want you paying any more than you should. Moreover, we want to be there as soon as possible when you're seriously inconvenienced by a major appliance breakdown. AAA Home Appliance Repair is the San Jose appliance service that has your best interests at heart. We're licensed and insured, and we're ready to provide you with the most satisfying home appliance repair services around. 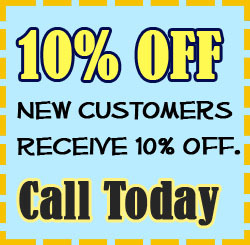 Call (408) 827-1744 now to schedule an appointment!